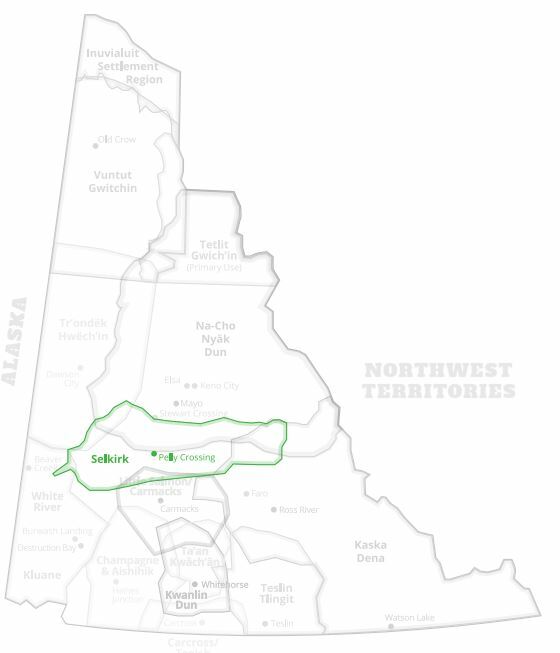 The Selkirk First Nation is located at the village of Pelly Crossing on the Klondike Highway in the Central Yukon. The Selkirk First Nation is part of the Northern Tutchone language and cultural grouping and is closely connected with their Northern Tutchone neighbours, the First Nation of Nacho Nyak Dun in Mayo, and the Little Salmon Carmacks First Nation in Carmacks. The three First Nations are formally associated through an organization known as the Northern Tutchone Tribal Council. As well, there are also many historic ties with the Southern Tutchone people to the southwest with whom they share a common language and similar culture. The Selkirk people first settled in the now historic community of Fort Selkirk at the confluence of the Yukon and Pelly Rivers, the site of a fur trading fort built by Robert Campbell of the Hudson’s Bay Company in 1850. The community remained active until the early 1950’s when the riverboats ceased to run from Whitehorse to Dawson City. At that time, many of the residents moved to the village of Minto along the newly-constructed Klondike Highway. People eventually relocated further northward to the present site of Pelly Crossing. The Department of Indian Affairs Pelly Band eventually became known as the Selkirk First Nation and became self-governing in July, 1997. Today the Selkirk First Nation has a total of approximately 483 registered members of whom 200 reside in other communities. The First Nation owns approximately 1,830 square miles of settlement land and will receive $16,604,860 over 15 years. As a self-governing First Nation, Selkirk now has the ability to make laws on behalf of its membership and to deliver an array of programs and services to its citizens. The First Nation is governed by a Chief and council whose responsibilities and authorities flow through a constitution, and who report to the General Assembly, an aggregate of all the citizens, on an annual basis. 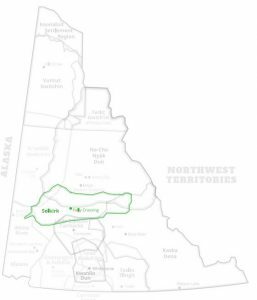 The Selkirk First Nation has turned to a modified form of traditional government, in that the Chief is elected and the councillors are selected by their respective Wolf and Crow clans.